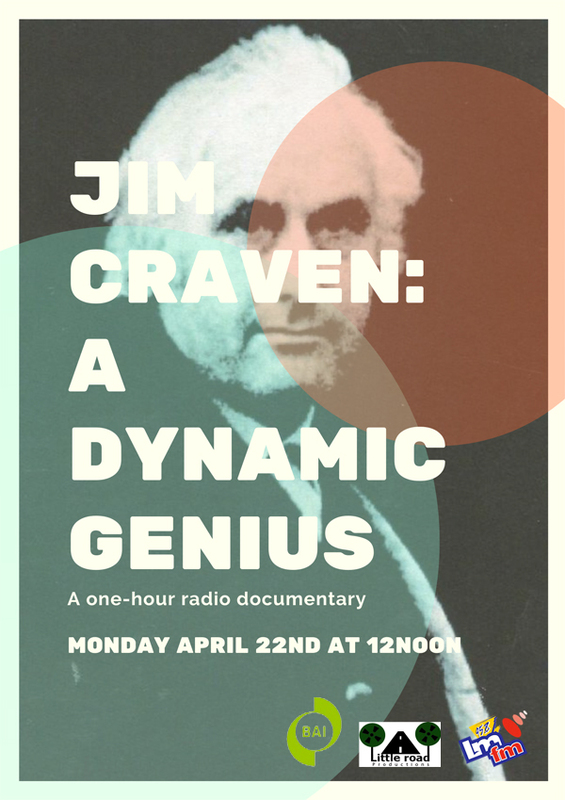 A new documentary exploring the life of Dundalk poet Jim Craven is set to be broadcast this Easter Monday April 22 at 12 noon on LMFM. The radio documentary, which is a new Little Road Production, takes a look at the life and works of Craven (1935–1980), a poet inspired by Patrick Kavanagh and referred to by John B Keane as 'a dynamic genius’. Born into a large family, he lived in the townland of Balregan in the Parish of Faughart, just a few miles north of Dundalk. The townland where he spent most of his life resulted in one of his local nicknames becoming the ‘Bard of Balregan’. Many also referred to him as the ‘Laureate of Louth’. His poetry explored many themes including childhood, nature, rurality, sexuality, love, violence, religion, mythology and history. He also wrote frequently on ‘The Troubles’, having been brought up only a stone’s throw from the border. In his lifetime, Jim had his work published in the Dundalk Democrat and in periodicals in the USA. Two books were published after his death - Selected Poems in 1983 and Nice of You Jim in 2005. His work was also included in Eugene Robert Platt's A Patrick Kavanagh Anthology in 1973 and Daniel J. Casey's Poetry of the Cúchulainn Country in 1978. Craven passed away at the age of 45 years on the 27th April 1980 in a car accident. Featuring Jim’s brother, Paddy Craven, who wrote a play about Jim’s life that was performed in the Town Hall in 2010, his niece Deirdre Craven, and his good friend Gerry Murphy, the documentary remembers both the man behind the poetry, along with the work that he created during his short life, in order to preserve it for the generations to come. Local artist Jinx Lennon is also featured throughout performing some of Jim’s many poems. The timing of the documentary is apt as we approach the 39th anniversary of Jim’s death and his yearly commemoration ceremony, which is open to all, and will take place after 10am Mass in Brid-a Chrin cemetery on Sunday April 28th. Funded by the Broadcasting Authority of Ireland (BAI) with the television license fee, this documentary will broadcast on LMFM Radio at 12 noon this Easter Bank Holiday Monday April 22nd 2019.